Could y'all send me some feed labels? I just need to see the analysis and ingredients! This is for a feed comparison 4H project! If you need help transcribing it, let me know... It's barely legible even in person. Thank you guys so much! This definitely helps! No worries! I'm looking at the first five and last five. Personally, I'm jealous! I love that feed and wish I could get it here! I've been doing feed analysis and that is my preferred levels for each category. Lucerne being Alfalfa. Not the best feed, but it's all I can get within half an hour's drive, short of paying 3x the price for a 12kg sack! Here's another one, from Star Milling. 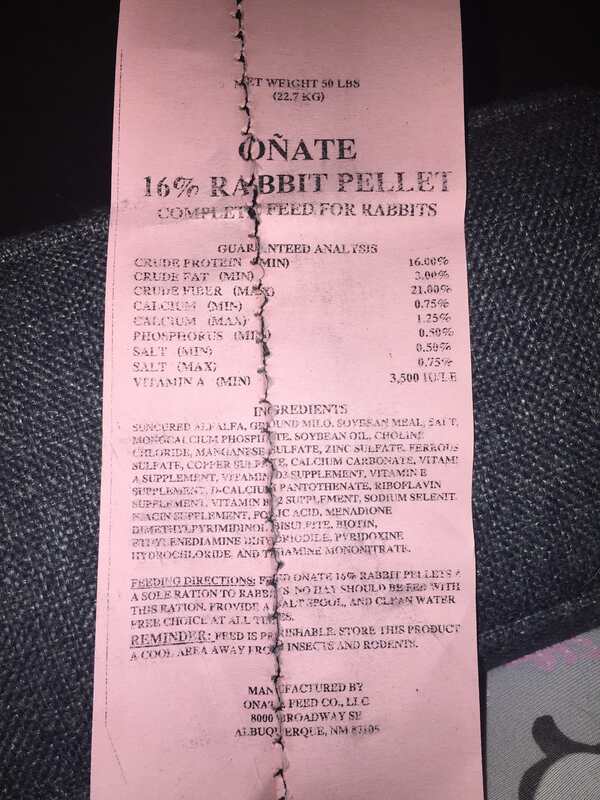 Ace Hi Rabbit Pellets (Timothy version). Best of luck with the project, hope I'm not too late! 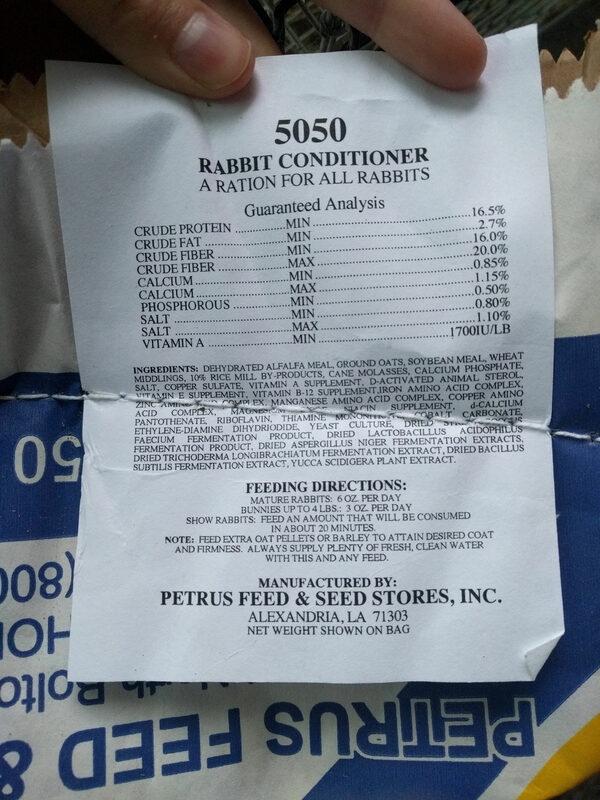 Most feed companies will send you their ingredients list and nutritional breakdown if you email and ask for it. If you have any gaps, I suggest you try this.